We’ve all had that beautiful project: the one with the solid ink coverage that wrapped around from the front cover to the back cover. It was truly a picture of joy and happiness - until it was folded. Then it became unsightly because of the cracking and show through of the paper under the ink coverage. What do we do now? Whenever possible, fold with the grain of the paper. The cellulose fibers that form the body of a sheet of paper should be running parallel to the folded edge. This is called grain direction. These fibers act like paper straws; if you took a handful and folded them, the fold would be uneven. The same phenomenon happens when folding cross grain. Choose paper with a surface that has a tight bond to the fibrous body. The paper surface can pull away from the body of the sheet, increasing the chances of cracking. A good example is Kromekote, a cast coated sheet, which is coated on both sides. There may be no cracking on the outside of the fold, but the inside of the fold can resemble a mini snow storm with the coating flaking off. Thinner paper cracks more readily than thicker paper. The reason? The surface of the bend in the folded area is sharper when comparing thin to thick papers. Thicker papers have a larger surface area going across the fold, which allows for a more gradual fold and less cracking. Scoring the printed sheets always helps, and should be planned for all stocks that are .006 or thicker. Will it eliminate all cracking? The real answer is NO, but scoring will minimize the potential. By varying the width of the score rule and channel, the chances for a clean fold are improved. Will press varnish, aqueous coating or UV coating stop the edge of the fold from cracking? The real answer, again, is NO. Folding a project by hand will often minimize or even eliminate cracking issues. However, this approach is the most expensive solution. Cracking is less likely to be seen if ink is not printed on the fold. If there is any cracking, what you are seeing is the color of the paper fiber showing through the broken edge of the fold. The only way to totally eliminate cracking is to apply a film laminate to the surface. The laminate encapsulates the surface of the paper and will not allow any cracking. Planning is the best way to get ideal results. Keep the grain direction parallel with the fold. Choose a paper surface and thickness that has elasticity to accommodate the fold. Get paper samples and fold by hand to see the level of cracking before making the final paper decision. 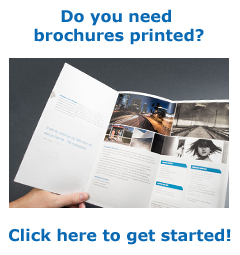 Let Castle Press assist you with all your printing needs!